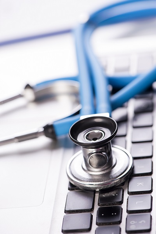 Medical coders play a vital role in the daily operations of any healthcare provider. In addition to assigning codes for patient diagnosis, office visits, and procedures, coders must submit claims to insurers. As an integral part of your company's revenue stream, it is crucial these claims are accurate and timely. While all healthcare coders receive training, only certified professional coders are recognized professionally as leaders in their field. Healthcare Information Services employs only certified professional coders, ensuring that your claims and billing are processed in an expert manner.